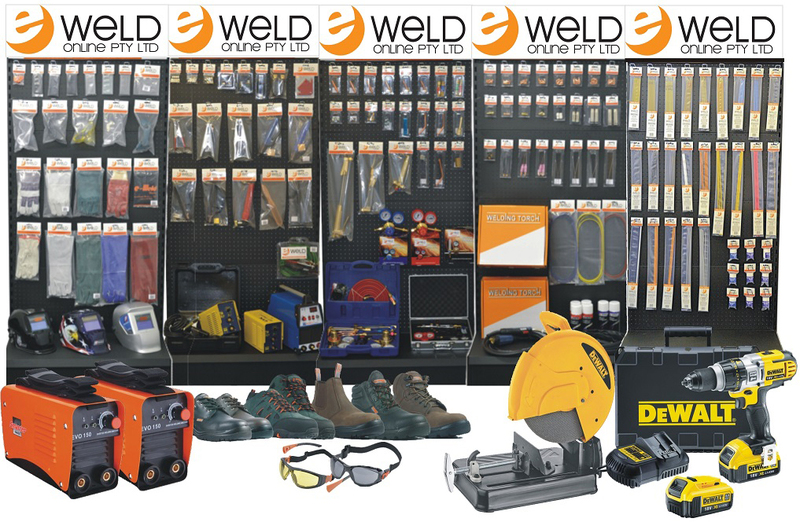 E-Weld offers 5 Standardised Display Welding Stands for the Retail/Agricultural Market. Pre Packed Welding Electrodes, Brazing Rods, Silver Solders and Coppertec, as well as their accompanying fluxes. These Welding stands are aimed and marketed toward the DIY enthusiast or welder that would require a small number of rods to complete a specific custom job. 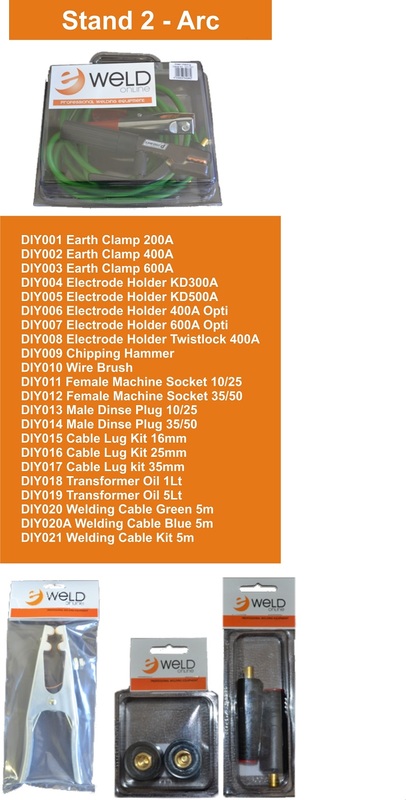 All the products on the Welding stands are available in 1Kg, 5Kg, and 20Kg bulk stock. 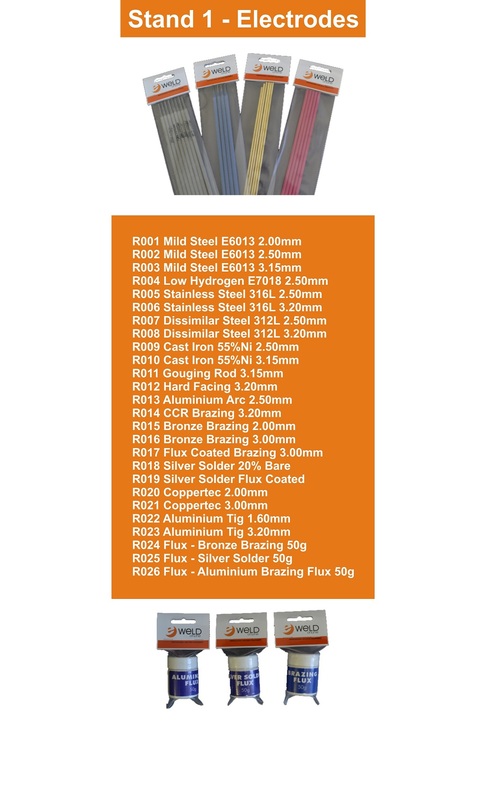 The range offers Mild steels, Stainless steels, Dissimilar steels, Low hydrogen, hard facing, cast iron, aluminium arc welding as well as gouging. 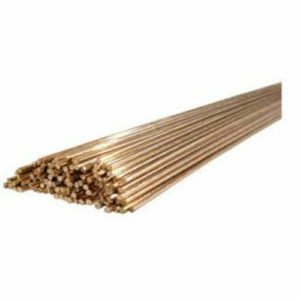 On the gas welding side there are CCR gas rods, aluminium gas rods, silver solder bare and coated rods as well as copper to copper brazing rods. There are also 3 brazing fluxes on the welding stands. All products are bar coded. This is a specialied Arc Welding Accessory stands aimed toward the DIY market. It consists predominantly of spares to repair the average arc welding machine and consumables that accompany these machines. It has 2 options of welding cable kits with or without the connectors and clamps. 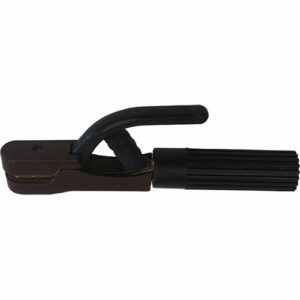 A variety of welding electrode holders of various amperages, earth clamps of various amperage tolerances. Male & Female cable connectors as well as female machine sockets to repair inverter welder wear and tear connections. Chipping hammer, wire brush for cleanup of weld as well as a selection of welding magnets to make life easier when making DIY jigs. The Welding stands also carries transformer oil for all types of oil cooled transformer based welding machines, available in 1 & 5Lts. This is a Gas Welding Accessory Stand designed to assist with accessories for any person that uses oxy/acetylene gases or argon/CO2 industrial gas. The is a comprehensive range of ANM cutting nozzles for use with oxy/acetylene as well as PNM nozzles for use with LPG/Oxy as well as a variety of 3 sizes of swaged brazing nozzles. The stand also caters for gas torch maintenance with nozzle cleaners, triple flint lighters, flint replacements, hose clamps, oxygen, acetylene and LPG hose. Gas safety products include flash back arrestors, torch and regulator sides, oxygen and acetylene single stage regulators as well as Argon/CO2 flow meters for Mig/Tig welding. The stand includes a Gas Welding and Cutting combination kit in a neat case as well as a universal gas cutting torch sold separately as well as cutting attachment or shank with mixer. This is a general safety stand which contains the fastest movers in general safety. 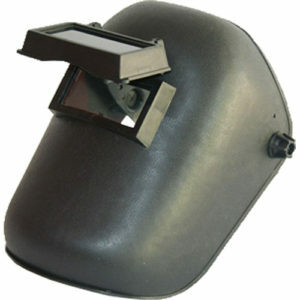 It comprises hand, ear, eye and head protection designed to suit the basic DIY enthusiast/workshop operator etc. There is an array of gloves, chrome leather welders gloves, green lined welder gloves, Tig welding gloves and red heat resistant gloves for furnace work. There are ear plugs packed in pairs as well as welder skull caps and flip front helmets. There are also 2 varieties of Auto Darkening Welding helmets, an economy non-adjustable auto darkening helmet as well as a professional adjustable helmet complete with grinding functions. There is a choice of helmet lenses to replaced used and damaged lenses to existing flip up and auto darkening helmets. Further eye protection is available in the form of clear, green tinted, grey tinted or amber safety spectacles, as well as the same range in visitors specs which fit over prescription spectacles. Flip-up brazing goggles as well as clear grinding/mono goggles available as well. This is a dedicated Tig/Mig accessory and consumable stand. 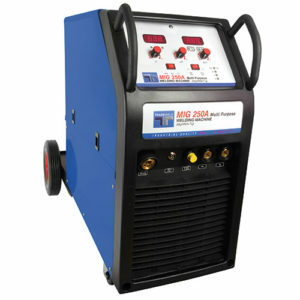 It has everything you need to keep your tig/mig welding clientele up and running. In the Mig range you have M6 & M8 contact tips available in all of the popular sizes. There are tip adaptors as well as shrouds available for all Binzel style Mig torches as well as liners to finish off the Mig range. There is also the option to include 1 of each sized Mig torch on the Welding stands as well. On the Tig side you get the full complement of tig collets, collet bodies, a variety of ceramic nozzles, tungsten needles for mild stainless steels as well as aluminium. 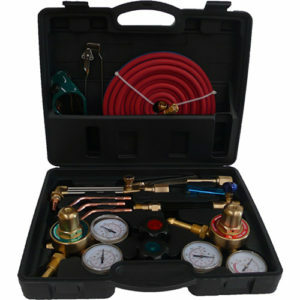 There are also a couple of combination starter kits available in tig and mig packaging. Optional extras would also include a range of well-priced tig torches.